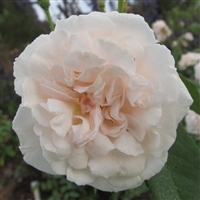 Carnation is a found Bermuda rose, named for the frilly edged petals. A Bermuda Rose found in the yard of Miss Emmie Gray, a teacher at the Bermuda High School for Girls. Upright in growth, quick to repeat. A found rose from the hillside cemetery of the old Victorian town of Ferndale, California. Floral City Ann is a found rose, from Floral City, Florida. The blooms have a very strong fragrance. It has had no care other than being cut back on occasion and showed no sign of disease. The plant was growing at a height of about 6' and about 5' in width. I am showing 2 photos of it in hopes of identifying it and to offer rose lovers a plant that grows so well with no attention. It blooms in flushes. "Hawaii Volcanoes" was found in Hawaii Volcanoes National Park by Dr. Malcolm Manners. 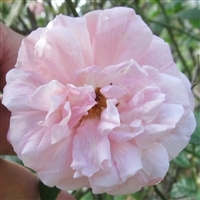 It blooms in clumps of about 5 flowers, blooming best with some chill. We grow it as a climber and it is easy to train. Opening pink and fading to a light pink. 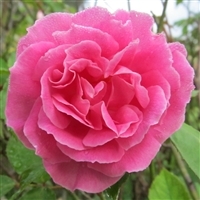 A found rose that blooms in large flushes, a vigorous grower with thick foliage. Flowers have a spice fragrance. A found rose from the Morgan plot in the Springwood Cemetery in Greenville, SC. White with lovely pink shading. This lovely rose was found in an old cemetery Natchitoches, LA. It has a pleasant, sweet, peppery fragrance. Larger blooms than many noisettes. 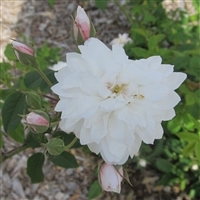 A found rose from Texas, this plant is bushy and generous with its blooms. The blossom has gold stamens against a center white background bordered by cherry red . Discovered by Cassandra Bernstein in 2003. The fuchsia color is quite dramatic. With a petal count around 100, this is a very "full" rose. A found rose, this variety is a survivor of Hurricane Katrina. 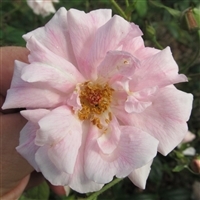 It has a major flush in the spring and a smaller secondary flush in the fall. A quick growing plant, easily trained. Our mother plants, which are 5 years old, now bloom in flushes throughout the year. 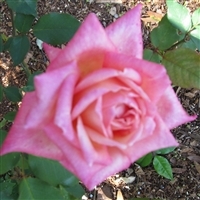 This rose was found around 1985 by Phillip Robinson, in California. It blooms in generous tightly packed clusters of white flowers. 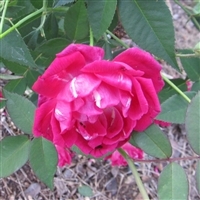 A "Bermuda Rose" that is also an Earth-Kind® rose. This plant is almost thornless, with 3" flowers formed in clusters. A spice fragrance.